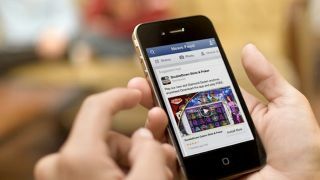 Facebook is allegedly developing a new app that will send breaking news alerts straight to your phone. Business Insider reports that a source close to the matter has leaked screen shots of a proposed alert along with details about the app. You'll be able to follow partnered outlets that will deliver alerts once news breaks. Only 100 character messages are allowed to be sent out, along with a link to the full news story. If it moves past the current Alpha stage eventually making it to consumers, you'll essentially have to download another app associated with Facebook if you want the service. Though we've all acclimated to Facebook Messenger as a standalone app, when it was first announced, people were not very happy about the forced download. However it's still not clear how the app will officially work and whether you'll have the option to download it or not. In fact, it might flop considering Facebook's past projects. Anyone remember Paper? It's all but disappeared, so only time will tell how well this new app will turn out.